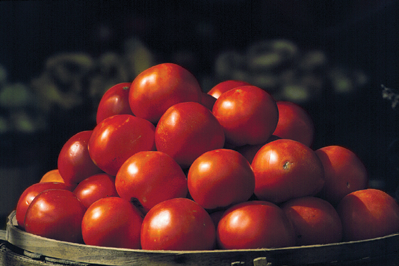 The tomato, scientifically known as Lycopersicon lycopersicum, was designated Tennessee’s official state fruit in 2003 by the 103rd General Assembly (Public Chapter 154). While commonly considered, and commonly functioning as, a vegetable, the tomato is, botanically speaking, a fruit. In the culinary world, fruits are sweet and usually served as a dessert or snack, while vegetables are less sweet and often served with a main dish. However, the scientific distinction between fruit and vegetable is based on the part of the plant where the food happens to be. A fruit develops from the fertilized ovary of a flower and contains seeds, while a vegetable is any edible part of the plant other than the fruit (i.e. leaf, root, bulb, stem, and flower).